Interests: Red shrimp, black shrimp, blue shrimp, green shrimp, yellow shrimp, orange shrimp & chocolate!! 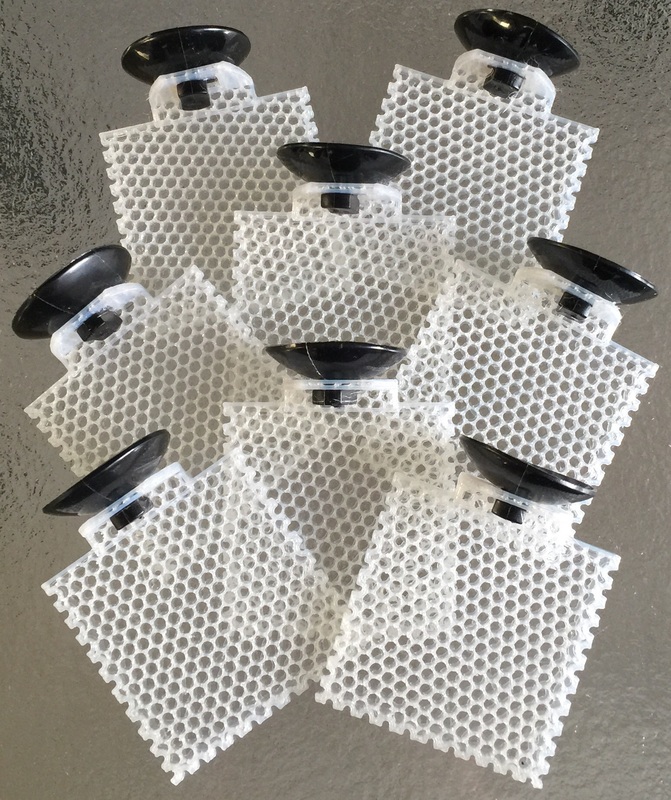 Our manufacturer of Mesh Moss Ledges has recently discontinued the line, so in place we are pleased to announce the arrival of their new 3D Printed Moss Ledge Range. 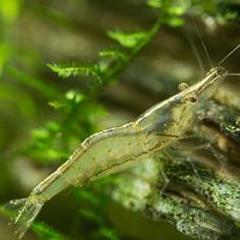 Made from aquarium safe resins, your shrimp will love these as much as the originals. 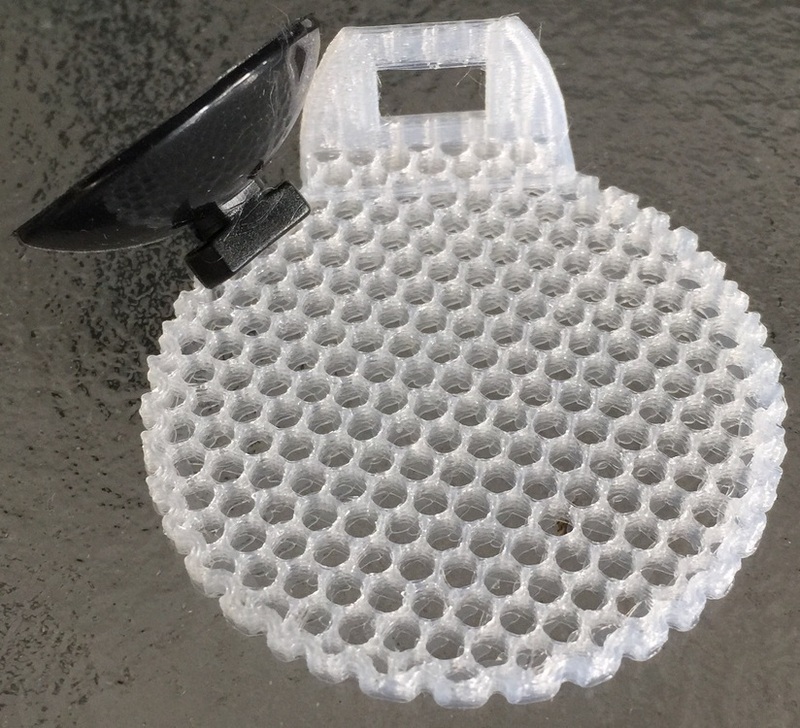 Same dimensions at 5cm x 5cm Square or 5cm diameter Round. They retail at $4 each. Introductory offer for the next week is buy 7 get one free. 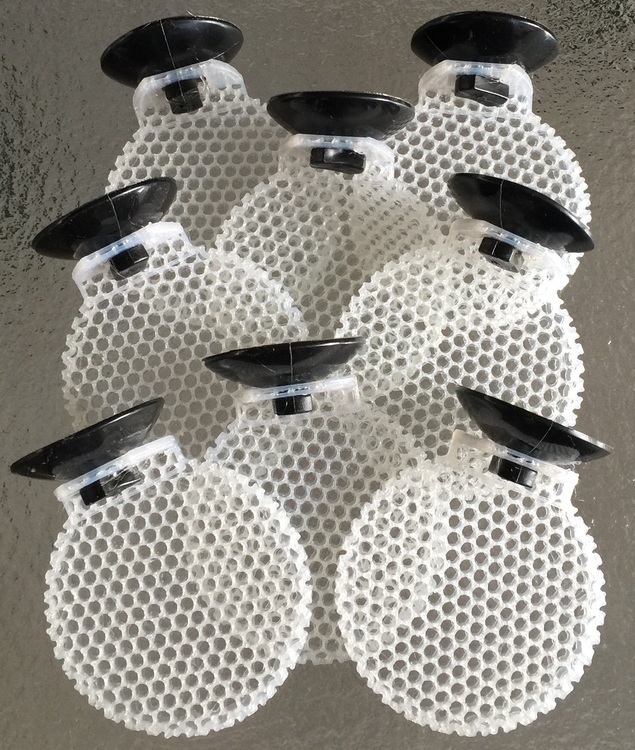 They have been designed for easy removal for trimming and maintenance, just twist plate and it detaches from suction cap. Dont forget your Skf coupon code to receive a further 10% discount. ? I know what I will be doing this week, as I have sooo much flame moss!! Enjoy!! To leave a product review, click on "View Article" and you will see a tab down the bottom for writing reviews. Ive noticed I had some equipment laying around that needed to be put to better use, and after settling in my half a dozen or so new shrimp colonies and other tanks, I figure I'll get to scaling it. Ive cleaned up an old 50cm Long tank and cut a glass brace for this light to sit on, Was a standard 3ft tropical PL compact flouro light, one ballast stopped working ages back so I cut it out and halved the unit, and the other has powered along for over a year now with a new globe. I've Got that light 36w, my 1L Ista co2 bottle just behind it, Aquaone 650 canister filter- which I'm putting a glass skimmer on, a standard glass heater, and drop checker.- That's about it for equipment, I'm contemplating adding a sotching oxydator I bought from newbreed aquatics closing down sale. Looking for some nice lava rock as I want to keep the kh quite low in this one, most of my other tanks have had seiryu or something else reactive, and I find plants like anubias and buce grip much better into light pourous stone like lava rock. I've got a fresh bag of Black earth to go in there when I do find the lava rock, till then. I recently acquired a couple of 3D moss ledges from @newbreed Aquatics (https://newbreedaquatics.com.au/planted-tanks/aquascaping-tools) with the thought of trialing them and organising my moss collection neatly. When I received them, I was impressed with the quality of the mesh and didn't want to use them for the 'common' moss like java, peacock, flame, etc. so I kept them aside and told myself to look for a 'worthy' moss for it when I get a chance. Fast forward to this week, I was fortunate enough to be offered some rare cameroon moss from a generous SKF member. That's right... you can see where this is leading to. The mesh is made of a thick plastic material and feels really sturdy, unlike typical stainless steel mesh which is flimsy and bends easily. This makes holding and working with it easy and comfortable, especially with my big clumsy fingers. 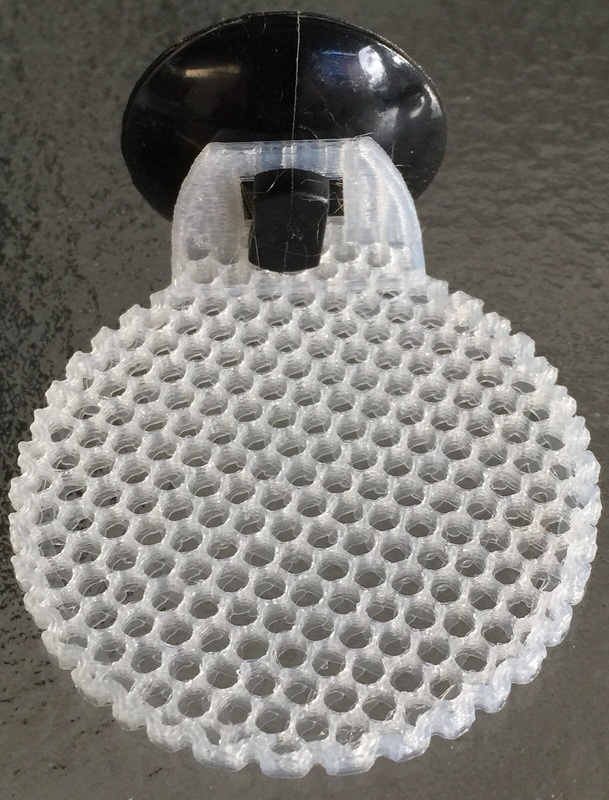 The mesh can be detached from the suction cup by twisting it 90 degrees and pulling it out. This means the suction cup could be left on the glass if you want to only remove the mesh for trimming/propagating the moss. Perhaps this would prolong the lifespan of the suction cup. Only time will tell. The edge of the mesh has notches which makes tying the mesh extremely easy and neat. I really like it. I generally do not trust suction cups... e.g. heater suction cups, metacube suction cups, etc. and this is no exception. 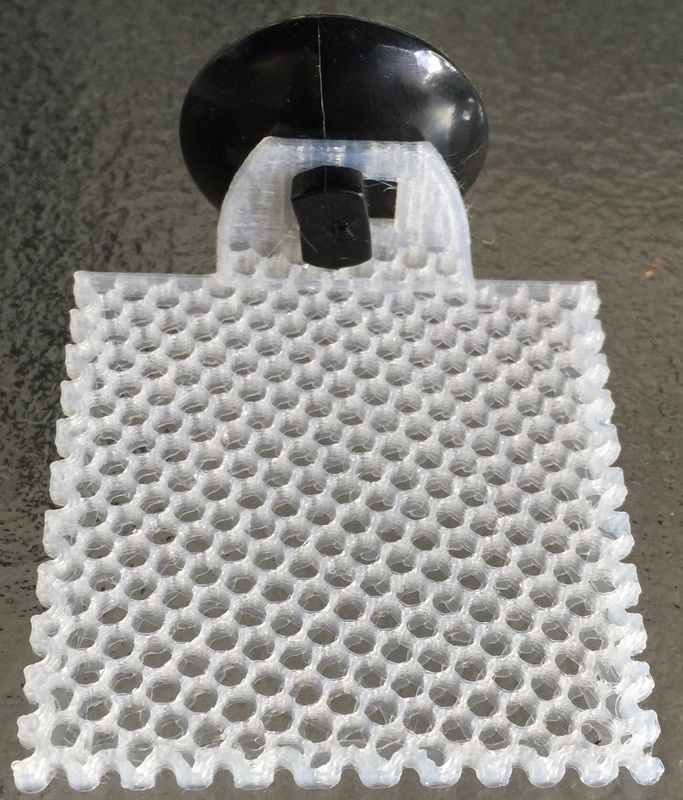 While the suction cup is of a typical size (wish it is larger), it is soft, supple and feels quality, unlike some hard rubbery suction cups that come with cheap heaters. The suction cup stuck on to the glass without any issue, and time will tell if it will hold up well. I am reserving my verdict for the suction cup at this stage. A suggestion perhaps is to sell replacement suction cups separately should they are required to be replaced, especially since the suction cup is designed to fit the rectangular groove of the mesh. A well thought out product, quality made and well priced. i am planning on doing an aquascape with seiryu/ryouh stone for CRS/CBS. I have read that these stones will raise pH levels. Should i be safe and avoid using these stones overall and just stick to driftwoods and mosses? Also, If it helps.. i will be using cal aqua labs substrate. That's exactly what I intend to do, so much fun watching them zip around the tank! Ahhhh, so satisfying to see issues being turned around. Thank you for posting a followup. You can tell just from your paragraph above that things have changed so much for the better. Now that the issues have been resolved, sit back and enjoy the tank and raise lots of happy little shrimplets ! The white one also has the strips, they are faint, but you can clearly see it on the first photo.